What are the best gaming headsets for laptops? We checked out some of the top bestsellers in the market to bring you our top picks. A good gaming headset not only delivers impeccable, high quality audio, but also lets you enjoy comfort with its design, plus reliability from its components such as the microphone. With these best gaming headsets for laptops, you can be sure you’ll bhear crisp quality sound, from the tiniest creep to the loudest bang, depending on the game you’re playing on your laptop. However, the headset you pick will depend on what you’re looking for from versatility, to sound quality, size, color, design, reliability, wired or wireless, and comfort. Be sure to check out the factors to consider when selecting the best gaming headsets for laptops at the tail end of this article. Whatever your preference, we’ve collated the best gaming headsets for laptops you can buy right now. What are the best gaming headsets for Windows 10 laptops? This gaming headset has a universal compatibility that not only supports laptops, but also PCs, phones, Xbox consoles, and PlayStation. 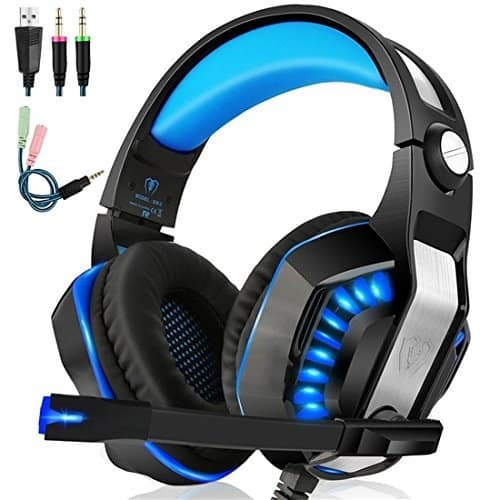 Sound is a top priority among gamers, so this headset is your best bet because it delivers crystal clear sound as it is built with a high precision magnetic neodymium driver that ensures you get a more immersive experience while playing your favorite games. Its omnidirectional noise reduction feature technology ensures your voice is picked up clearly by the microphone. Its headband is retractable, with ear cushions wrapped in leather so you can play for hours on end with the ultimate in comfort and gaming pleasure. It is also made of robust material so it can resist any crashes or falls, making it a top pick among the best gaming headsets for laptops. It also has a durable braided, 2.2 metre wire that is resistant to wear and tear. In-line controls such as mute and volume control buttons are conveniently placed within the reach of your fingertips, plus it has a cool LED light that adds color to your gaming experience. 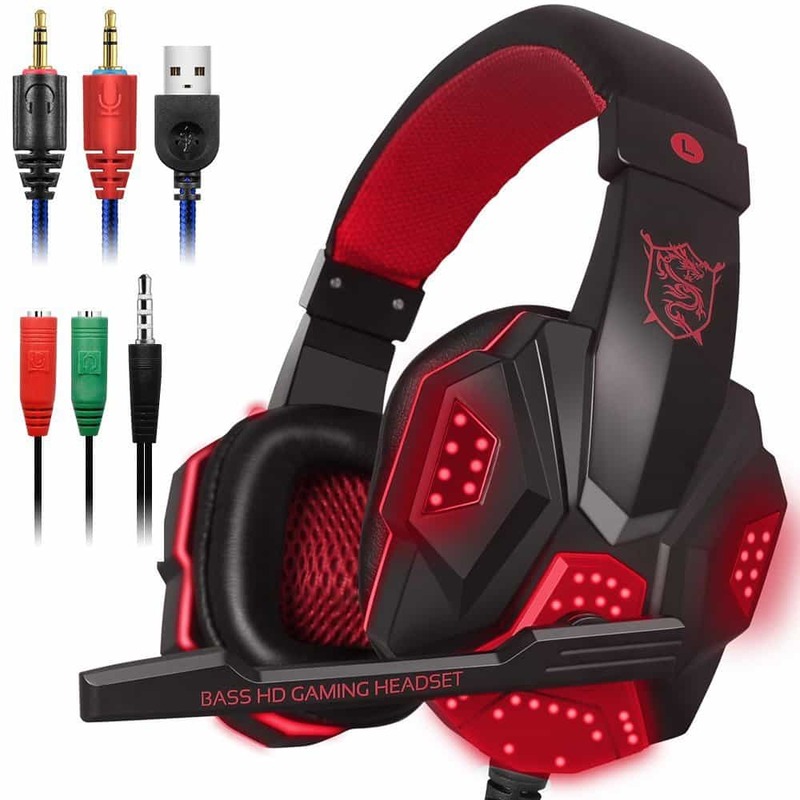 This is a top pick among the best gaming headsets for laptops because of its high-quality sound, omnidirectional noise reduction, cool LED light, and comfortable wear. 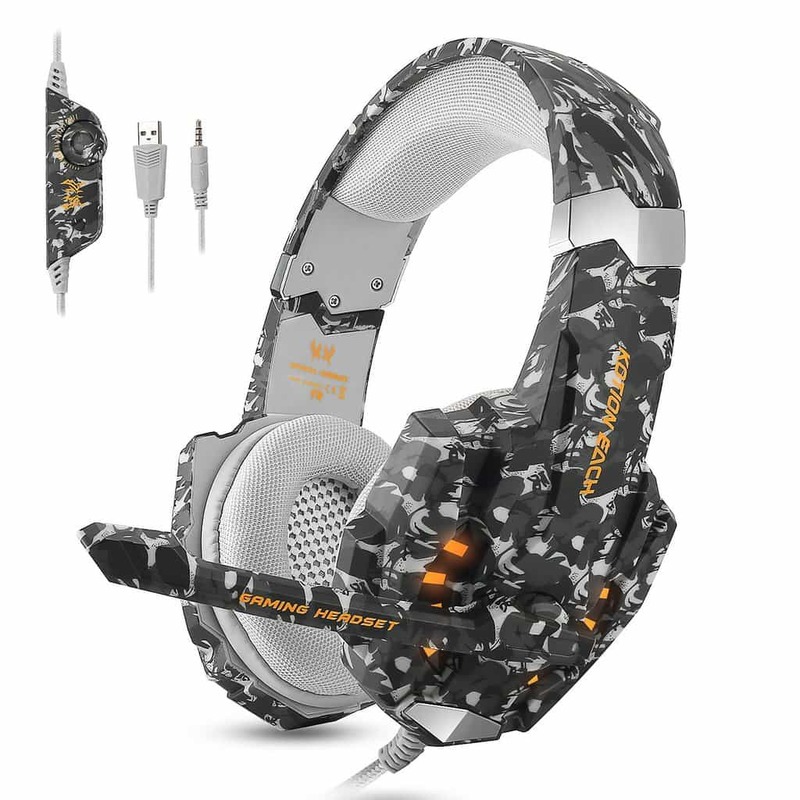 Let’s break these down so you can understand just how dope this gaming headset is. Not only does it deliver vivid, clear sounds with each game you play, it also comes with a noise reduction microphone that is sensitive and durable, with in-line mute and volume controls. The glaring LED lights on the earcups of this headset highlight the gaming atmosphere so you can enjoy every single minute of heightened action. Also, with this gaming headset, there’s no discomfort in your ears that usually comes with heat and hours of playing because it has soft earmuff pads that let you play for as long as you like without getting worn out. The ear covers are detachable so you can clean them regularly to keep your ears comfortable. You can also adjust the headset up to 120° adjust the mic to come closer to your mouth for easier chatting and voice accuracy. It comes with a 12 months limited guarantee and is highly compatible with laptops, PCs, PS4, New Xbox One, and mobile phones. The Micolindun headset ranks among the best gaming headsets for laptops because of its unique features. One of the first things you’ll notice when you use this headset is the lighting from the earcups that glows when you’re playing, as it charges up the game atmosphere. It is also lightweight, soft and has a comfortable headband so you won’t experience a heavy head or burning ears. Everybody wants comfort right? By the way, the headband can fit any head size so you can play with any of your friends. When it comes to sound, this headset doesn’t disappoint. 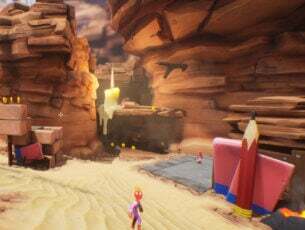 Its 50mm drive unit is pegged on sound performance with a stereo sound that lets you feel as if you are in the game itself, like wearing 3D goggles. 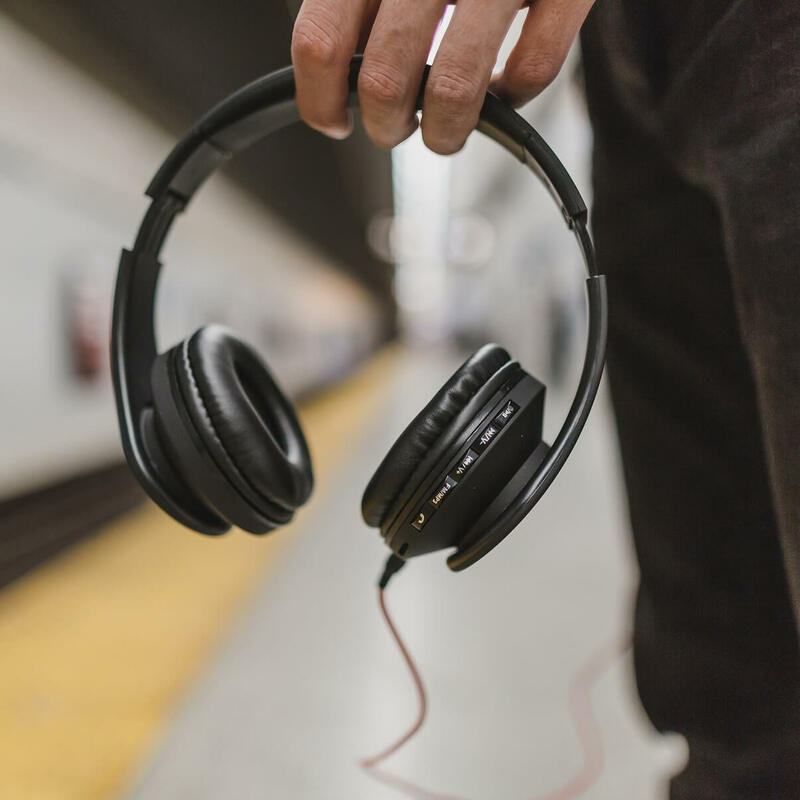 It has a deep bass, great for an immersive gaming experience, and you can use it not just for gaming, but also when watching movies, chatting on Skype, or listening to music. The mic on this headset is omnidirectional so you can move it to the position you want, plus it reduces noise thus delivering clear voice accuracy. In-line controls include mute, volume, and mic turn on/off functions. It is a plug-and-play headset and supports laptops, and most other devices such as PCs, New Xbox One, and PlayStation. 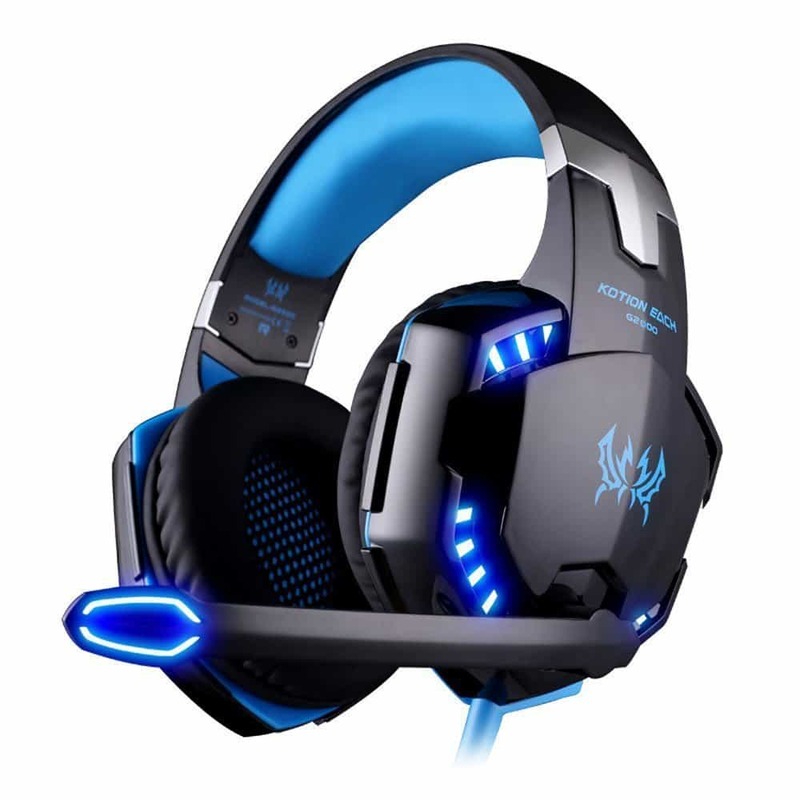 This is another quality headset among the best gaming headsets for laptops. This brand of headsets delivers high-quality sound and strong noise isolation, letting you enjoy an immersive gaming experience in 360° stereo sound. It is easy to use, with a USB interface for supplying power to the LED light, so it doesn’t require any driver as it is easy plug-and-play. Its microphone retracts up to 130° so you can position it where you want, plus the ear cushions are made of soft sports leather to give you every comfort during your gaming experience. It is light, affordable, delivers high performance in gaming, and has a super cool appearance. This headset supports laptops, Xbox One, PlayStation and other devices. As its name suggests, Beexcellent is one of the best gaming headsets for laptops. it delivers excellence not just in sound, but also universal compatibility with different devices and platforms. 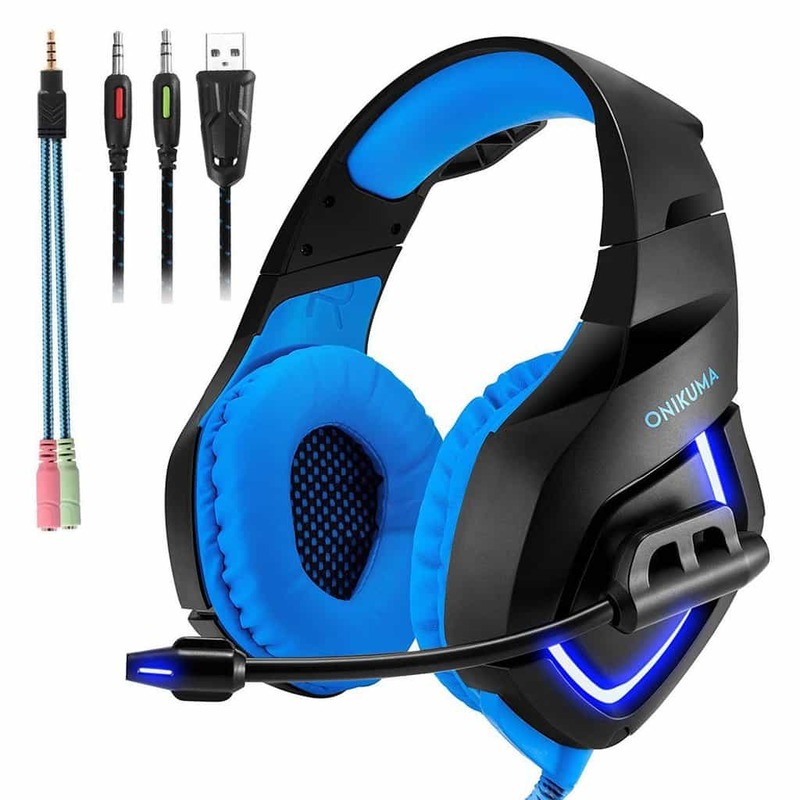 This headset comes with crystal clear surround sound what with its high-quality precision 50mm magnetic neodymium driver, so you get to enjoy vivid sound clarity, and a deep bass while you play away. It also comes with an omnidirectional mic meaning you can position it where you want, plus it reduces noise and enhances voice accuracy so you transmit high-quality communication while you play and/or chat. Its design is amazing! It comes with soft ear pads, an adjustable ergonomic slider that fits your head comfortably and perfectly, so you can play without having to keep adjusting your headset, or cooling your ears. It also comes with in-line volume and mute controls for faster operations. 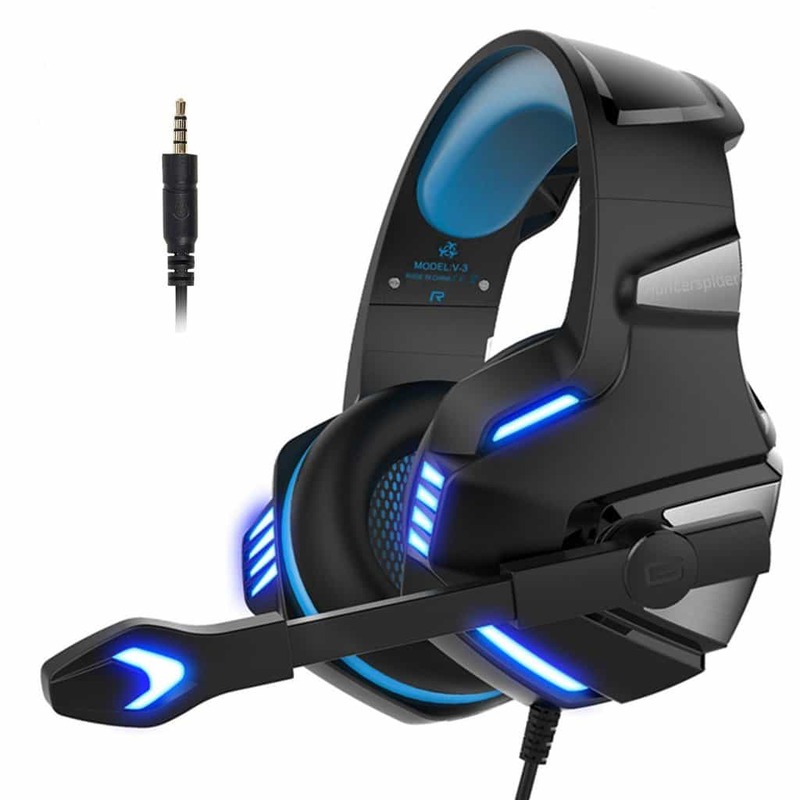 This gaming headset has a surround stereo subwoofer for powerful bass while gaming, and clear sound quality. It also comes with a noise reduction, omnidirectional microphone, which lets you position it where you want, plus cancels out the unnecessary noises. It has a strong braided, anti-winding cord, plus soft earmuffs so you can play for long hours with no heat or sweating. 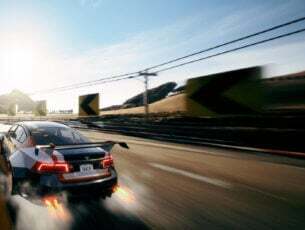 It’s an easy plug-and-play so no need for drivers, plus you get the LED lights that make the gaming atmosphere worth your while. With the Ecoopro headset, you get a 6 months warranty and 30-days money back guarantee – how cool is that? This headset has a simple, minimalist design compared to the headsets listed above. Don’t let the minimalist aesthetics prevent you from buying it. 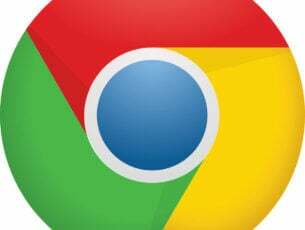 This peripheral is highly versatile: you can use on your computer, gaming console, smartphone, you name it. The audio quality that it delivers is absolutely stunning thanks to its 7.1 virtual surround sound support, noise cancelling mic and echo cancelling feature. The memory foam ear pads make this headset very comfortable to use. You can use this device for long gaming hours without experiencing any discomfort. HyperX Cloud II is a device fully optimize for voice chat. You and your fellow gamers can enjoy two-way high quality audio conversations that will boost your gaming results. 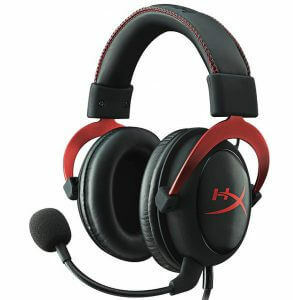 Have you found your favorite pick among these best gaming headsets for laptops? let us know which one you really liked and can’t wait to get, in the comments section below.